We woke early to prepare for our final activities and then the return to home. After a final tasty breakfast groups 1 and 2 set off to abseil and then to enjoy the sensory trail. 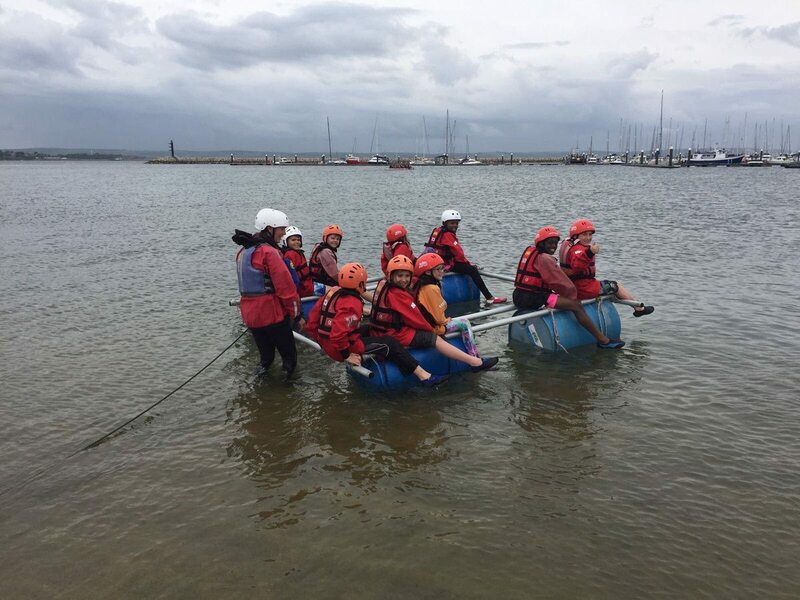 Groups 3 and 4 took to the water building and sailing rafts in Weymouth harbour learning team building and listening skills. After drying off and a final pack of bags we went to the dining room for lunch and to experience the famous PGL build a burger. As our time at Osmington Bay came to an end we spent a short time on the beach before packing our coach and saying a massive thank you and goodbye to our rep Molly. If we could sum up our trip in one word it would be, in the words of Amandeep in 5G AWESOME!